We’ve been working towards buying a new home, for the past couple of years. We bought our first home before having kids and starting our business and it has been busting at the seams for several years. I’ve done considerable research about how to qualify for a mortgage when you’re self-employed and, honestly, I was a little concerned. It’s not that we’re not on top of our money, because we definitely are, but the stigma attached towards those who work for themselves is real. As such, the requirements for getting a mortgage when self-employed can be a bit much. This is not to say you can’t get a mortgage when you work for yourself. Just that it will potentially be a challenge. Thankfully, we had a relatively easy experience in getting our mortgage. But, we prepared as much as we could prior to put our best foot forward. If you’re self-employed and want to qualify for a mortgage, here’s how to do it. Income is likely the biggest thing if you want to buy a house when self-employed. I can attest to the fact that income can fluctuate greatly when you work for yourself. We have killer months followed by “just enough” months. Thus, budgeting is key. You also need to keep in mind that they look at your net business income, not gross. So, if you’ve been overly deduction happy it can hurt when you try to qualify for a mortgage. Additionally, if you have W-2 income that is gold in the eyes of the lender so make sure to notify them if you do. One of the biggest financial mistakes I ever made was putting nothing down on our former house. That was not something we were willing to do this time and we wouldn’t have qualified for a mortgage if we didn’t have money saved up for a down payment. We put down close to a 30 percent down payment on our new house. We did that for a few reasons: to not have to pay for PMI and because we knew it would make us look better in the eyes of the lender. If you’re not able to hit at least the 20 percent mark, I suggest you wait a little longer before applying for a mortgage. The lender also looks at what you have beyond the down payment. I’m not talking what you have invested for retirement. They want to see a certain level of cash reserves. Since we all know income can fluctuate, they want to make sure you can handle mortgage payments if you have a bad month or two. I was never given a hard and fast number, but have found that six months worth of cash reserves is a good target to shoot for. We were easily at that mark, with funds sitting in our Synchrony Bank account so I felt good enough with what we had. This is where I was concerned. Not that our credit is bad (we both have scores around 820) but we like to churn credit cards for free travel. We both had numerous hits on our credit report and I was concerned that reality would impact our lender’s decision. Knowing we were going to apply for a mortgage, we stopped applying for cards roughly 9-12 months before but that’s not a set in stone number. My advice is to be smart about it and curtail card applications if you know you’ll be trying to get a mortgage. That being said, a higher credit score can help mitigate your income risk – to a certain extent. If you have a score of 720+ you should be able to qualify for the best rates possible. If you want to get a mortgage when you’re self-employed, debt is going to play a big factor in the lender’s decision. The only debt we had was our mortgage so we were ok here though many may not be in that position. If you have a business loan you may think you’ll be fine. Unfortunately, they will count that against you in their calculations. You will have a DTI of 40 percent. This is an important number to know, outside of trying to qualify for a mortgage. The highest DTI you can have and still qualify for a mortgage is 43 percent though am sure some lenders may have issues with giving out a mortgage to a self-employed individual with that high of a DTI. Our DTI is sub 10 percent so we were good at this level. If there’s one thing I can take away from trying to get a mortgage while self-employed is the importance of doing your due diligence prior. Many lenders won’t even look at you if you don’t have two years of returns. Keep in mind they may also want to see an upward progression in income levels as well. The other thing to seriously consider is the lender you choose. We worked with our last lender – largely because she was no longer with Wells Fargo. Wells Fargo, like other large banks, are more reluctant to hand out mortgages to entrepreneurs. Her new bank is a local bank that has been in Nebraska for over 100 years. Thanks to their reach in the local community, they have access to federal funds that other larger banks don’t or won’t give out. In effect, this allows them to loan their money to us. This more personal approach allows them to learn about their mortgage candidates and give us a chance because they see we’re worth the risk. As an aside, I believe this issue of getting a mortgage while self-employed is going to become more of an issue in coming years. Pew Social Trends reported in 2015 that 3 out of 10 workers are self-employed or work for those who are self-employed. This number will only grow as we move toward a freelance economy, in my opinion. There is still a pre-conceived notion that a “real” job where you work in an office 9-5 is more secure than working for yourself. We’re surrounded by risk and I think we’ve all learned one thing over the past decade – many, though not all, are at the whim of their employers. Hopefully, in time, big banks will get the message and work a little more with self-employed individuals. Have you tried to get a mortgage when self-employed? What challenges did you face? Why do you think we have the misconception that “real” jobs are always more secure than working for yourself? It hasn’t even crossed my mind that qualifying for a mortgage when self-employed may be more difficult or require more paper work. Thanks for the informational post! Yep, it can definitely be more difficult. Thankfully we planned pretty well for it. I find that self employed people have the hardest time qualifying for mortgages! These tips are really good, so hopefully they will help!! They wouldn’t count my income when we bought this house in 2014. This is mainly because I didn’t quite have two years of self-employment income yet. Fortunately, we borrowed very little, had a large down payment, and Greg’s income was enough to qualify. I think that catches a lot of people. Good for y’all you had those other things in your favor. Great info here, John. As a former mortgage sales assistant, I can tell you that your info is spot on. The biggest problem we saw when dealing with self-employed persons was the deduction-happy people who deducted 90% of their income but wanted us to count some or all of that as net income for qualifying, and it just doesn’t work that way. 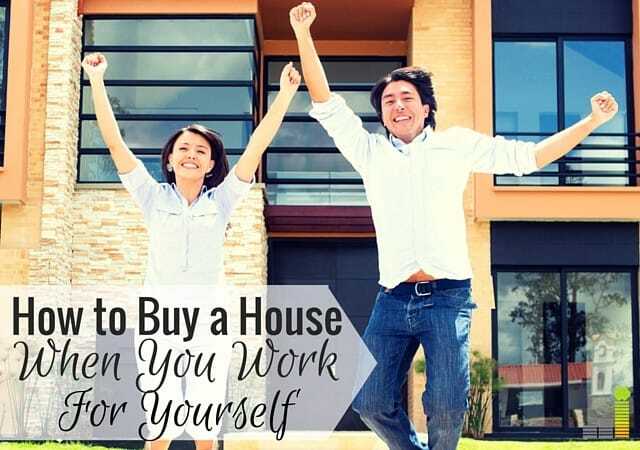 For that reason it’s important for self-employeds to expect to qualify on their net income and either adjust their purchase price accordingly or stop taking so much deductions for a couple of years prior to buying. Thanks Laurie! Yea, I was somewhat, probably overly, concerned about that. Thankfully we’ve got a good CPA who helped us plan to make sure weren’t going overboard. Congrats on the new home John!!! I saw the pictures on Facebook and love that you are sharing your story here. I have a friend who was self-employed for three years and couldn’t get her mortgage re-financed to save her life because of it. I think it’s because she was working with a partner and the business was not thriving over that period of time so she kept getting rejected. As you shared, it’s not impossible, but you do have to meet some other standards that others don’t. Like any other large financial transaction, the more preparation you do ahead of time, the easier it will be to get through it. Congrats again! Thanks Shannon! Sorry to hear about the hassle your friend had. We were told of very similar situations here in Omaha and advised to avoid specific banks as a result. It’s crazy what a personal relationship can do in situations like this. Love this post! 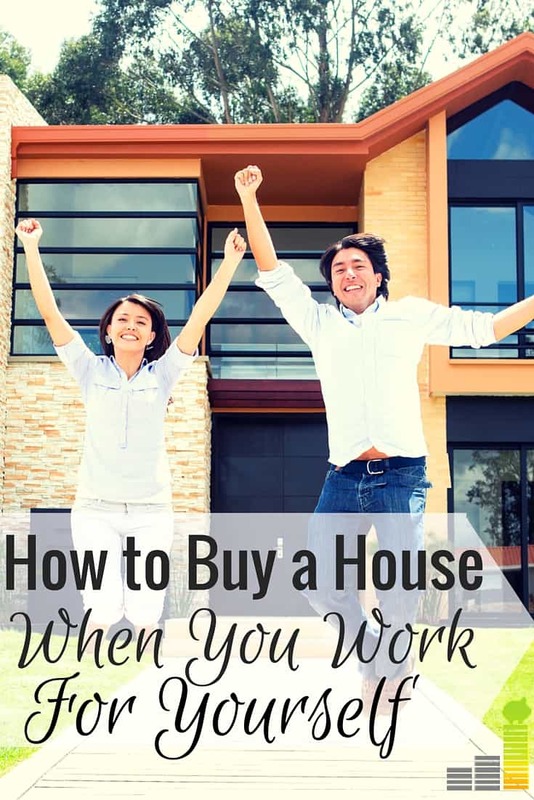 We don’t plan on buying another home for at least a few years, but I’ve been wondering how being self-employed would impact the home buying process. Thanks Michelle! Consider yourself lucky, it can be quite the process. Great advice, John. I think this is advice that most self-employed people are looking for but it doesn’t seem to come up often. DTI is killer for millennials with student loan debt…nothing is more crushing than realizing just how high that percentage can become if you are buried in $50-$100k of student loans. You’re exactly right – that DTI can be a real killer, especially for those with crazy student loan amounts they’re trying to pay off. I know it was a challenge for us to try and find good info on what we needed to do/expect with our mortgage process so hopefully this’ll help those in a similar situation. I had no idea that it would be more complicated to apply for a mortgage while being self-employed. Considering I plan on shifting more of my income to this area of the coming years, this post is getting bookmarked. Thanks for the information! Yep, it can definitely be more difficult. They’ve supposedly tightened things to actually get a mortgage, though I still doubt that to a certain extent, and even more so for entrepreneurs.